Twice in her life, Jennifer Taylor has needed to call 911 because a food allergy put her into anaphylactic shock. “I would have died if I wasn’t resuscitated,” says Taylor, an associate professor of environmental and occupational health in Drexel’s School of Public Health. When any of us dials 911 for medical reasons, we’re confident an emergency medical technician (EMT), trained in basic life support, or a paramedic, who can perform more advanced procedures such as inserting breathing tubes, will show up quickly. For Taylor, that’s what happened. “It’s a great social value: If you call 911, someone will come to you,” she says. But consider that 911 experience from the perspective of the EMT or paramedic. When Taylor called, she was helpless, experiencing a life-threatening emergency. But the medics who jumped into an ambulance and headed toward her likely had no idea what they would encounter. They’re entering private homes, sometimes where residents are living on the very edge. Sometimes, what’s waiting are people who are potentially dangerous, because they’re delirious, desperate, on drugs or just plain belligerent. The unfortunate outcome in such a situation might be an injured medic. Taylor’s area of research is injury prevention and control, and she uses her knowledge to address safety issues in health care and first responder industries. With Federal Emergency Management Agency grants of $870,000 in 2010 and $1 million in 2013, she’s spent the past five years studying line-of-duty nonfatal injuries in members of the fire service in order to understand what it would take to create a national registry of firefighter injuries. 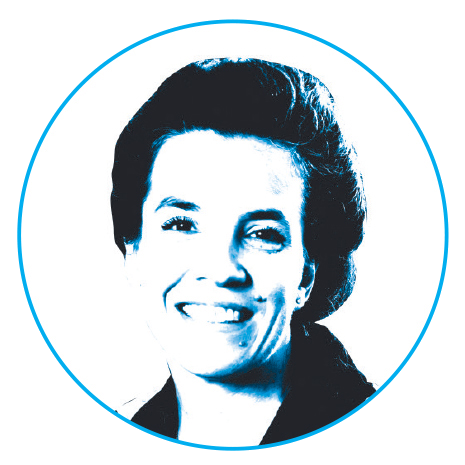 As an epidemiologist, she studies large datasets for patterns and correlations. 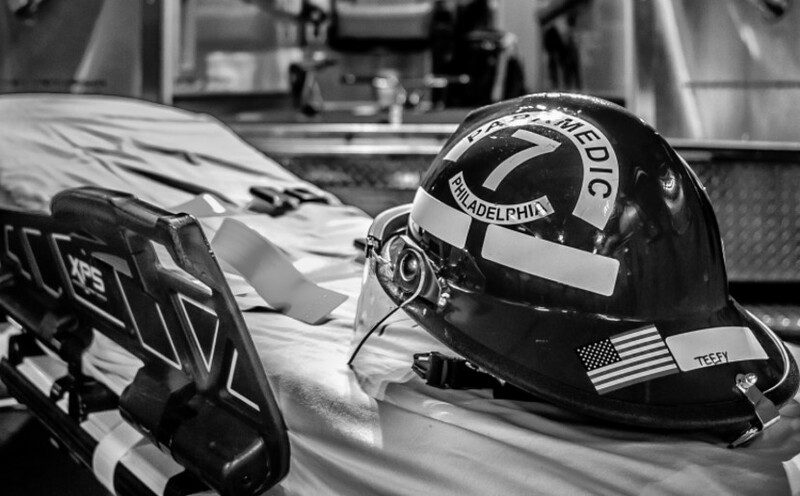 And so it happened that while she was examining 10 years of firefighter, paramedic and EMT injury shared with her by the Philadelphia Fire Department, she stumbled across something unexpected. A striking number of first responders were reporting being assaulted while on a call. At first, Taylor thought the injuries were gender related: 22 percent of women’s injuries were caused by being struck by a patient, compared to just 9 percent of men’s. “We didn’t understand why women would be reporting that type of injury more than men,” she says. Were women easier targets for aggression? Were men less likely to report an assault? But as discussions unfolded, the first responders pointed out an important fact that sent Taylor’s investigation into an entirely new direction: Most of the women employed by the Philadelphia Fire Department are not firefighters but rather paramedics and EMTs. When it comes to a preponderance of “struck by” injuries, the controlling factor was not gender-related. “It’s all about the occupation,” Taylor says of her “a-ha!” moment. 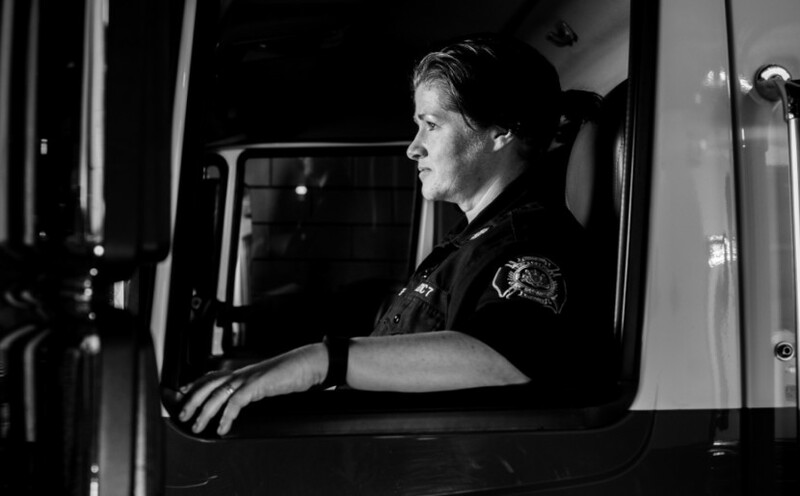 She reorganized the data and discovered that medics are twelvefold more likely than firefighters to be assaulted. Taylor also discovered a sad reality: Along with occasionally being hit by the people they’re trying to help, many medics feel emotionally battered by their job. 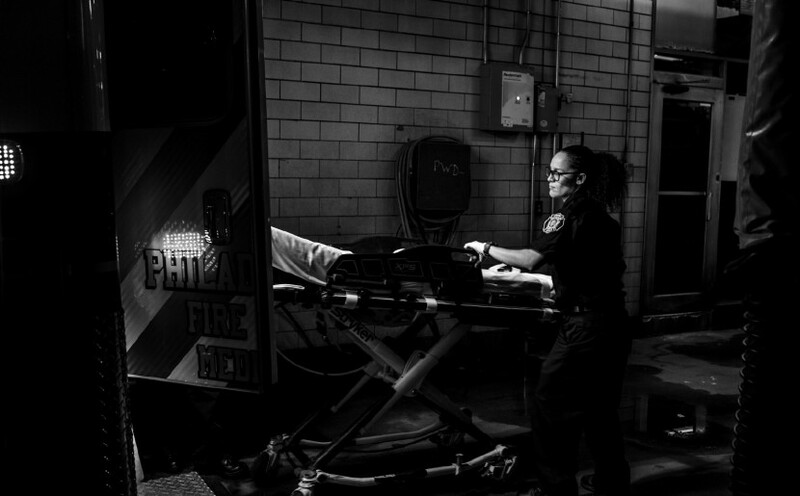 In Philadelphia, 200 paramedics operate 40 advanced life-saving ambulances, each staffed with two responders. About 20 of those vehicles are active at any point. The volume of work is astonishing. In 2011, emergency medical services workers went on more than 337,000 runs. That comes out to nearly 1,000 runs a day. The pressure results in stress, burnout and, by extension, some of those injuries, since the hectic pace leaves little time to establish situational awareness. “We’re not giving our medics the rest they need to do this job,” says Taylor. Meals, usually poor-quality ones, are scarfed down quickly between runs, during which the medics often deal with traumatic events and might be exposed to people living in desperate conditions. What’s the salary for a job this challenging? A mere $35,000 or so for an EMT and about $42,000 for a paramedic. One obvious solution would be to increase the department’s headcount, but no national standard exists for how many paramedics a city should employ per 100,000 population. “That doesn’t help a city government or a fire department when they’re trying to say, ‘How many paramedics should we have?’” says Taylor. Other practical improvements to improve on-the-job safety would entail giving the medics better information going into a scene — Is there a shooter? Is this a house where drugs are sold? — as well as providing training on how to manage a combative patient and de-escalate a scene. 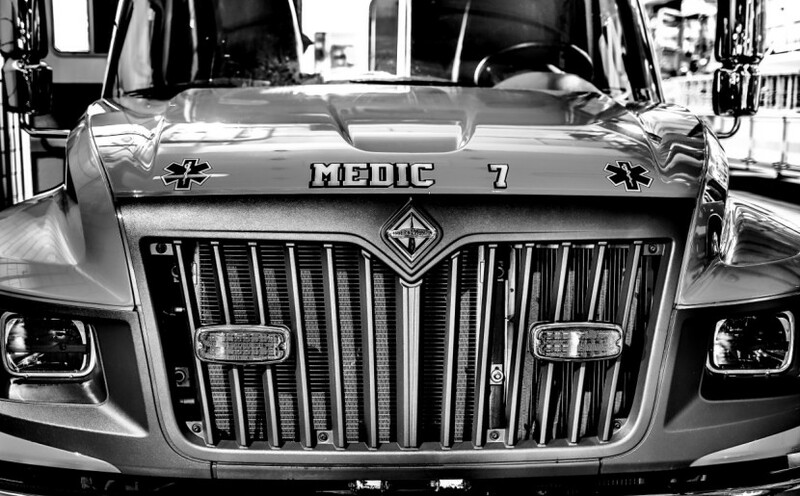 Joe Schulle, president of the Philadelphia Fire Fighters and Paramedics Union, can fire off several suggestions for mitigating the issues faced by medics. He would like to see placards on EMS vehicles like the ones in Canada that tell people it’s a felony to assault a first responder, as a reminder that medics fall into that category and are just as important as firefighters and police officers. “They don’t feel anybody cares,” Schulle observes. One of the most intriguing solutions that Taylor posits has to do with the aforementioned community expectations: the idea that if you call 911, a medically trained person will soon appear. In practice, this policy invites regular overuse of the system by people who don’t feel that they have anywhere else to turn. Twenty-six percent of Philadelphians live below the poverty line, with almost half of those in “deep poverty,” meaning a family of three that brings in only $10,000 annually. According to a 2014 report from the Philadelphia Department of Public Health, nearly 20 percent of adult residents lack health insurance. 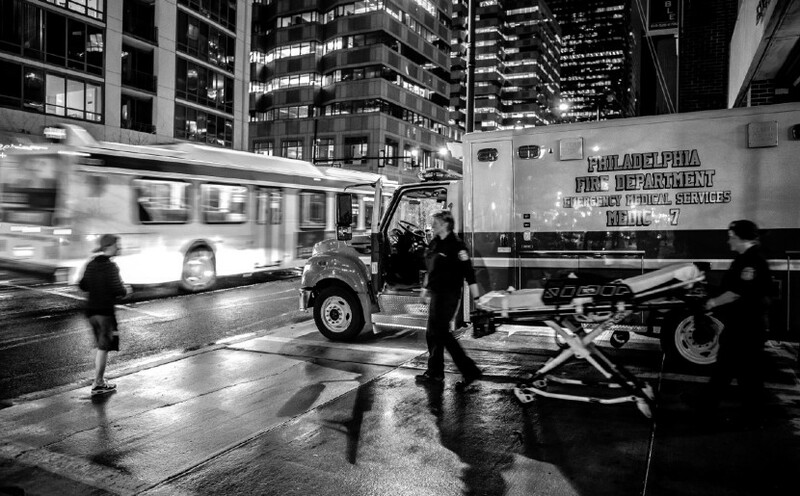 Underserved and low-income populations call for paramedics when they have fevers, need prescriptions picked up or want assistance getting into bed. “People think we’re there to be their taxi service,” one EMT reports. 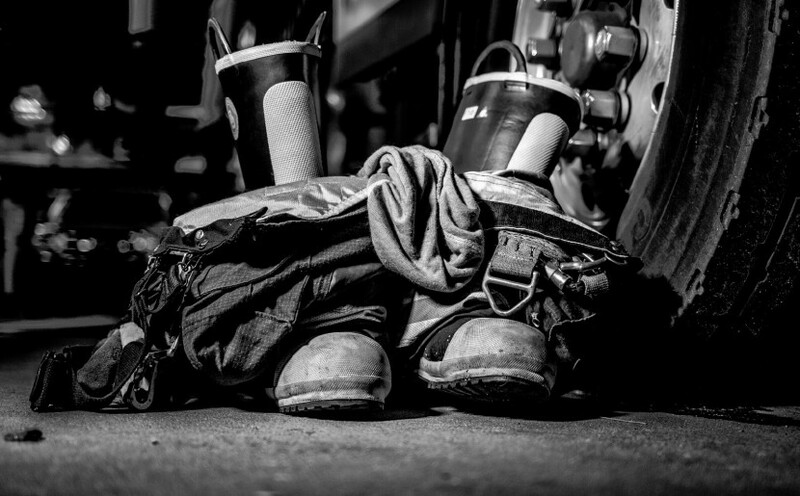 While those events require valuable resources that should be reserved for emergencies, they reveal a powerful underlying attitude: Employees of fire departments are trusted. People readily invite them into their homes. What if there were a way to harness that trust to improve community health? The model is called community paramedicine, and it entails expanding the job definition of paramedics. Rather than only showing up at the scene of a medical emergency and providing transportation to a hospital, the medics become an extension of the health-care system, providing proactive referrals for people in need of other, long-term services. 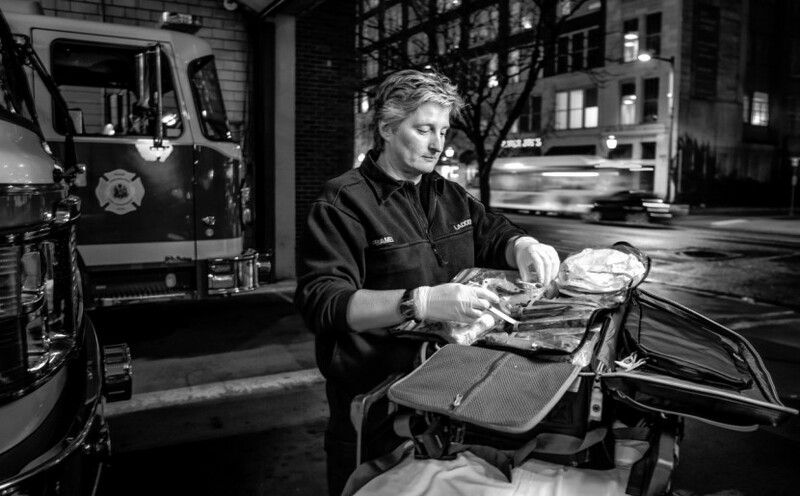 Community paramedicine can be employed in urban areas where lack of knowledge about options causes people to let health problems fester or to rely on familiar services, like 911, when another is more suitable. The model is already being used elsewhere in the United States, including at Christian Hospital, a 13-hospital system in St. Louis with the busiest emergency room in Missouri. The hospital paid for the needed additional training by moving money around, but Cebollero notes that by reducing the use of expensive ambulances to repeatedly transport what he jokingly calls “members of the EMS loyalty program” to the ER, the hospital could save money in the long run. In Philadelphia, where the fire department’s structure is rigidly traditional and its budget is controlled by City Council, change will require political will and persuasive arguments. Taylor, for her part, is actively pursuing funding to assess every medic and firefighter in the Philadelphia Fire Department for stress, burnout and other indicators of physical and emotional labor.